Hummingbird offer uninteruptable power supply devices that help ensure essential in-vehicle systems remain charged and operational. 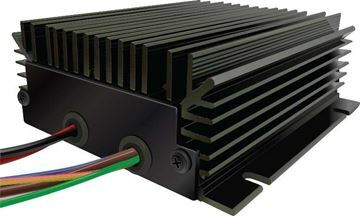 This UPS power supply solution 12v and 24 vehicles and maintains a 16v output when vehicle power is removed. The Hummingbird In-Vehicle UPS is an uninterrupted power supply that keeps essential systems in your vehicle running.